Turns our clowns are a popular choice. 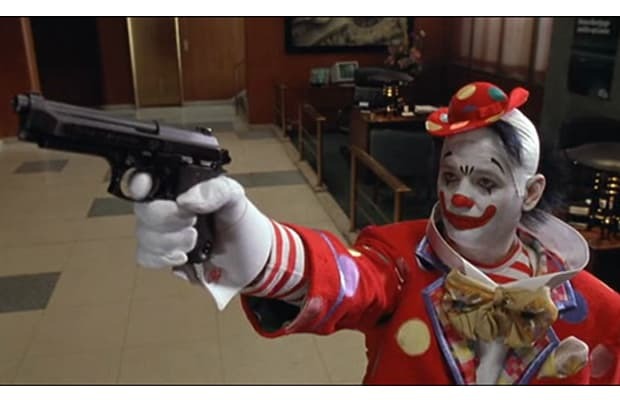 In this cult-classic remake of the French film, Bill Murray has no problem robbing a bank disguised as a clown, but his escape from New York City after the job turns out not to be so easy. Hilarity ensues.